SoundRoots World Music & Global Culture: Monday's mp3: Swamp Rock Maracatu? Must be Nation Beat! Monday's mp3: Swamp Rock Maracatu? Must be Nation Beat! Brazilian soccer may be on the wane a bit in the past few years, down to a lowly world ranking of number four after nearly a decade at or near number one. However music -- Brazil's other big cultural export -- shows little sign of losing its edge. Artists including Ceu, Seu Jorge, and Forro in the Dark keep pushing tradition in new and interesting directions. 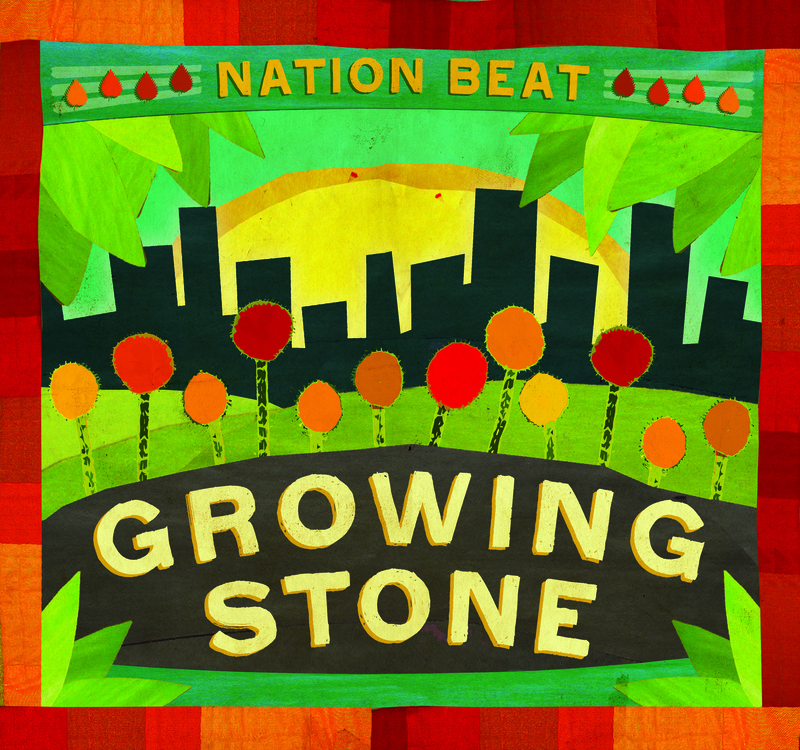 Now with their sophomore album Growing Stone, USA-Brazilian band Nation Beat prove that they deserve mention on that list as well. They dig up roots music from both cultures, blending swamp rock guitar, blues beats and Cajun and Appalachian fiddling from the north with maracatu rhythms and the ubiquitous Brazilian-style triangle. The resulting music feels amazingly natural, and will make you want to dance. At the heart of the band are vocalist Liliana Araújo and percussionist Scott Kettner. A cross-equatorial band of musical rogues joins them, playing everything from mandolin and lap steel to sax and trombone. With no song lyrics or even summaries included (and me with no Portuguese comprehension skills), I'm left wondering what the songs are about. Well, I'm wondering a little. Mostly I'm cranking up the music and wondering just how high up the SoundRoots 2011 Top Ten list this album will climb. 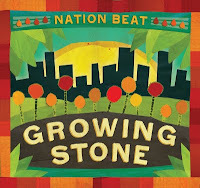 Be sure to check out the Nation Beat website, where the band is streaming a new song from the album every week leading up to the CD release party Sept. 16 in New York.